If you want to fight the war against wrinkles, enlisting in anti-aging treatments at Serente spa is a good strategy. Facials are designed to rejuvenate skin with all elements—from exfoliation (sloughing away dead, skin-dulling cells) to moisturizing to massage (improving circulation)—acting together to improve skin’s texture. An anti-aging treatment is an effective preventative measure when it comes to the aging process, and is a good option if you want to skip the surgery for something much less invasive. 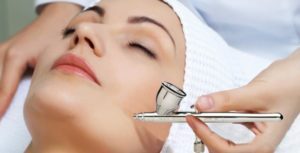 Anti-aging treatments use products, techniques and special advanced equipment designed to slow the aging process, brighten skin, and reduces wrinkles. If you’re one to quest for younger-looking skin, you’re in luck. 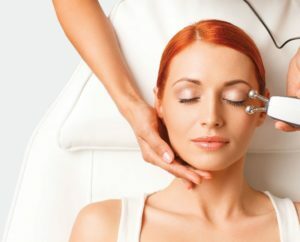 There are a variety of anti-aging facial treatments to select from, including those utilizing vitamin-infused serums, collagen creams, and rejuvenating facial massage techniques. 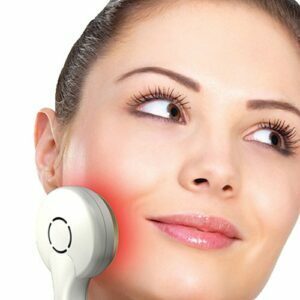 Additional anti-aging solutions include light therapy(LED), Venus Legacy Skin Tightening, and micro dermabrasion. We would like to introduce you to the Intraceuticals Oxygen Infusion Treatment! Discover the Hollywood secret to beautiful skin, a personal favorite of known celebrities including actor Channing Tatum & Victoria’s Secret model Miranda Kerr. This unique noninvasive treatment advances moisture binding Hyaluronic acid, vitamins and antioxidants to the skin via topical hyperbaric oxygen. The skin instantly feels rejuvenated with improved firmness, volume and radiance. This fabulous LIGHT addresses many skin conditions. Redness, Hyperpigmentation, Acne and Anti-Aging Cellular Rejuvenation! Increases fibroblasts to produce collagen & elastin proteins deep within the dermis. Prepare for your moment in the spotlight, or just spoil yourself, with our Ultimate Age-Defying Facial. 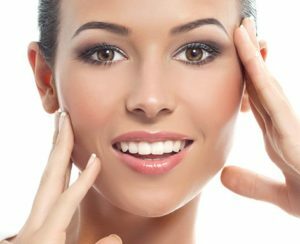 This treatment includes a peel to refresh your skin, along with our micro current treatment to tighten and tone your facial muscles. Notice a visible difference after just one treatment, you will be ready for your close-up! This non-invasive procedure removes the outer layers of the epidermis to reveal younger, smoother more radiant skin. Give tired eyes a lift! Change the position of the arch to open the eyes and create a more lifted, youthful and refreshed look. While reducing the appearance of dark circles and puffiness. A must for Red Carpet events! Osmosis Facial Serum Infusion generates an incredible 30-day collagen production increase and is an amazing add-on treatment used to boost/speed the results of any Serente facial.